Oster Sharpeners Advisory Board Member - Precision Sharpening Inc. 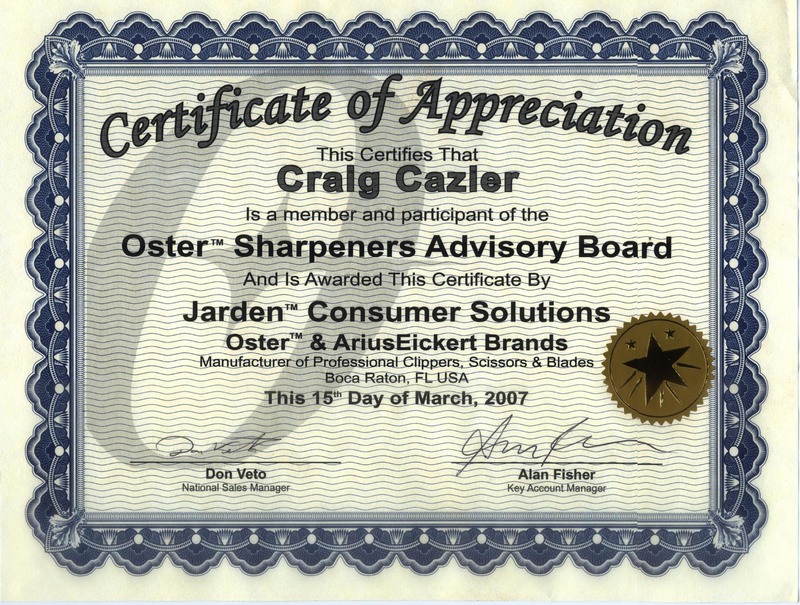 I have been awarded this certificate for being a member of the Oster Sharpeners Advisory Board. I was one of the very first members of this group of elite sharpeners to be asked to join this board of advisors to Oster. The board was assembled to help Oster see what we see as sharpeners out in the field allowing them to determine the needs of the market and design new products or change existing products to fit the needs of today’s user.